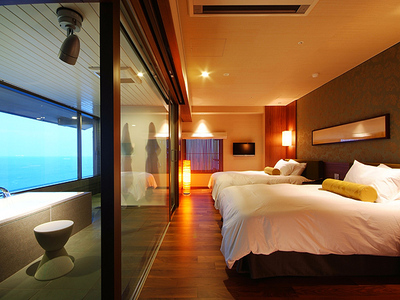 Quiet and cozy room that overlooks the ocean and stunning views. The bath in the room is spacious with spectacular view of the ocean. 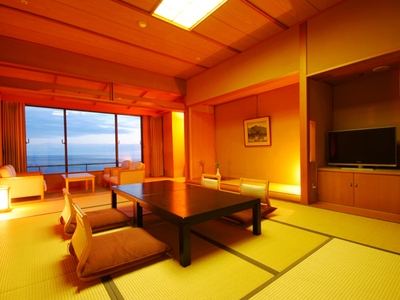 Moderate Japanese-Western room combination of Japanese calmness and western comfortable. 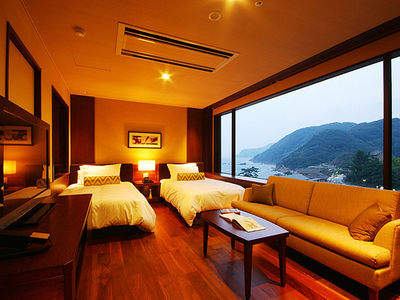 All the Japanese style rooms are facing at the Sea of Japan. Enjoy stunning views.